Johnson Systems Inc. (JSI) is pleased to announce our new updated product catalog! To download your copy, click here. Dealers please e-mail sales@johnsonsystems.com for your confidential password to access our dealer catalog. Johnson Systems (JSI) designed and supplied a complete "turn-key" dimming and control system as well as integration and programming services for the Fantasyland Hotel Ballrooms and Lobby. Johnson Systems Inc. (JSI) supplies and installs five (5) CD-3000-SV Control Systems in the Vancouver area Bell Performing Arts Centre. Johnson Systems Inc (JSI) is pleased to supply the prestigious Comerica Theatre with four (4) CD-3000-SV Control Systems. Johnson Systems Inc. (JSI) successfully won the tender to supply seven (7) CD-3000-SV Control Systems to the City of Guelph's River Run Centre. 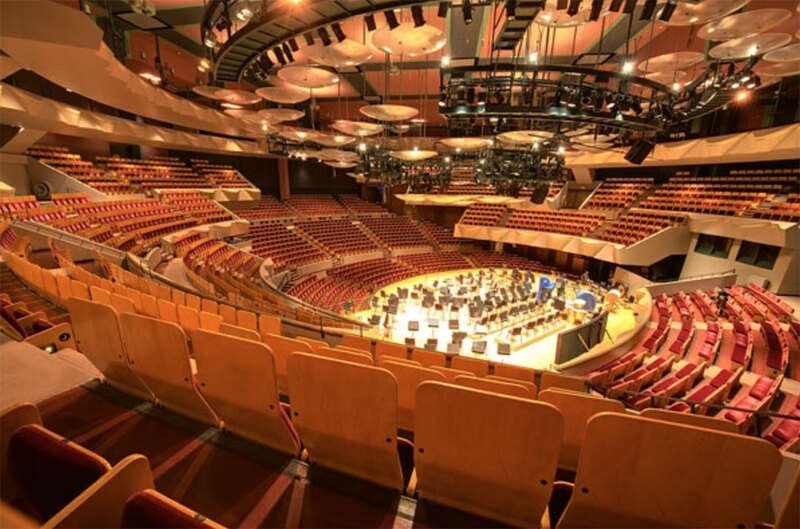 Johnson Systems Inc. (JSI) supplied Boettcher Concert Hall with seven (7) CD-3000-AE Control Systems. 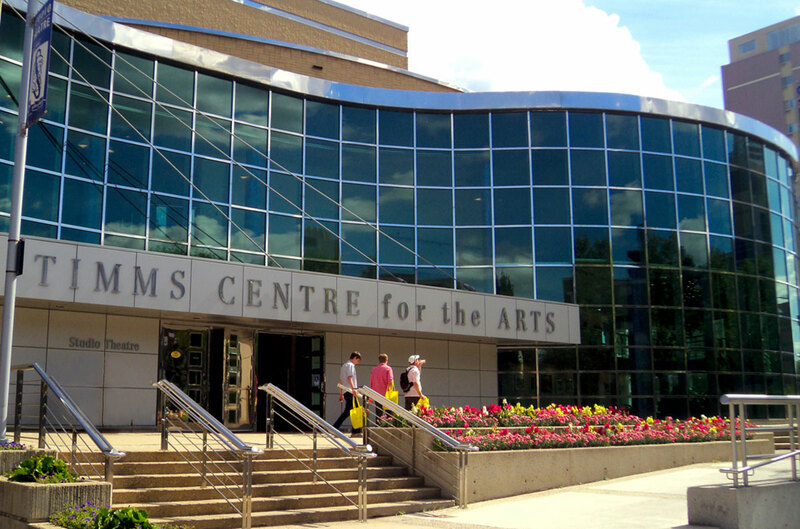 Johnson Systems Inc. (JSI), supplies and installs six (6) CD-3000-SV Control Systems in the Timms Centre for the Arts. 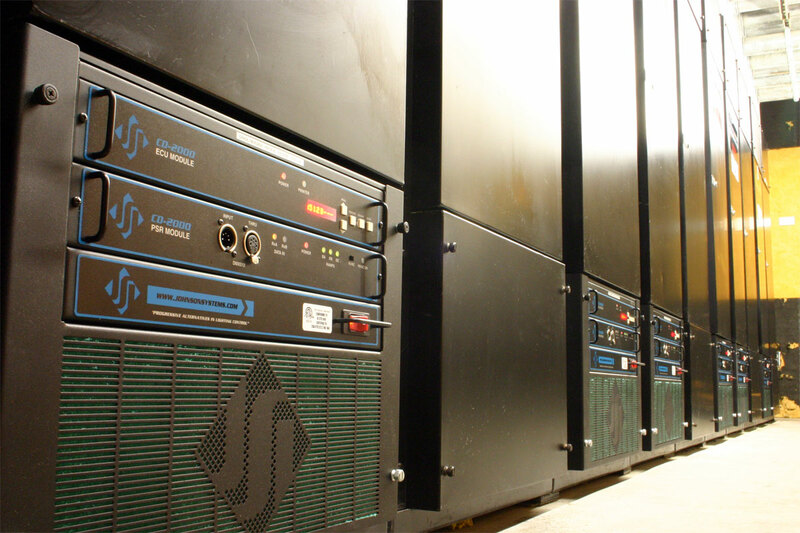 Johnson Systems Inc. (JSI), supplies Media-Comm Studios with seven (7) CD-3000-AE Control Systems for their aging Strand CD80 dimmer racks. JANUARY 30, 2018 • NATIONAL RESEARCH COUNCIL TO WORK WITH JOHNSON SYSTEMS INC. (JSI) TO COMPLETE PRESIDOR™. JOHNSON SYSTEMS INC. (JSI), an architainment lighting control company, announced today that the National Research Council of Canada is working along side Johnson Systems Inc. to help expedite the final development of the Presidor™ LED Lighting Control System. As LED's began to turn the lighting industry on its head, JSI set its development team to create a "next-generation" LED Dimming system and architainment control system unlike anything in the Global Market. What JSI has created has both new and retrofit applications for every theatre, church, convention center, office building, warehouse, parkade, smart city, hotel, school, and more. Presidor™ is a Patent Pending, fully architectural lighting control system in a user friendly touchscreen package designed to install in a single gang electrical back box. Both the National Research Council of Canada as well as our Provincial government have backed the development of Presidor™ with grants and support and we hope to be able to showcase Presidor™ at the October LDI 2018 tradeshow with sales starting in 2019. In addition to a stand-alone series of LED dimmer racks and multi-room controls, Presidor™ has been developed for use in the retrofit of various common dimming systems permitting a leap to the newest technology at a fraction of the cost of a new system. 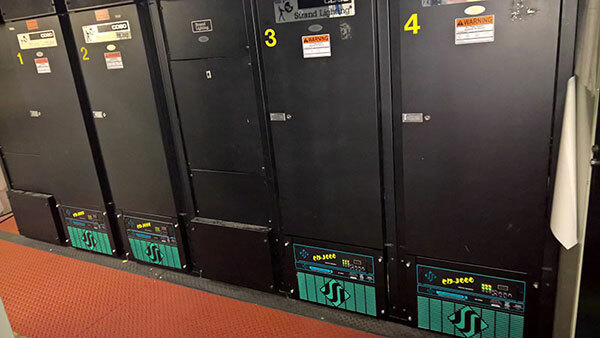 Johnson Systems Inc. (JSI), supplies and installs five (5) CD-3000-SV Control Systems in their existing five (5) Strand CD80 Supervisor dimmer racks. Installation, commissioning and training was completed in less than five hours by a single technician. 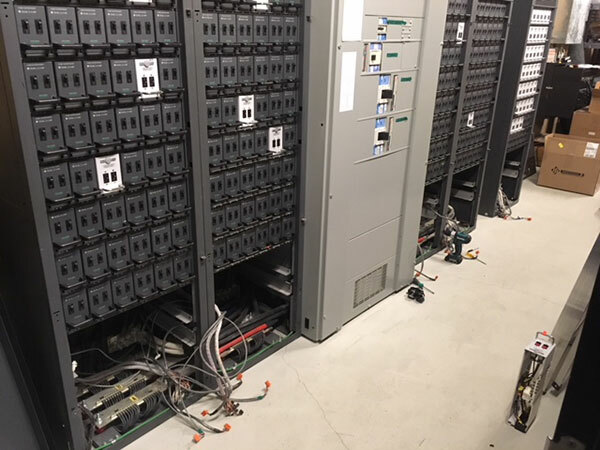 A YouTube video of the installation procedure for a CD-3000-SV Control Systems for aging Strand CD80 Supervisor dimmer racks. JANUARY 11, 2018 • JOHNSON SYSTEMS INC. Awarded Development Grant. JOHNSON SYSTEMS INC. (JSI), an architainment lighting control company, announced today that it has been approved for a Voucher Grant from Alberta Innovates. This grant will allow for the completed development of the Presidor™ LED Dimmer and Controller, UL Certification and an initial Marketing Assessment for European Commercialization and Expansion. "Having Alberta Innovates come along side Johnson Systems and provide us the means to expedite the completion of Presidor™ will allow us to exponentially speed up the commercialization of a product that our industry is in desperate need of", says founder and CEO Shaun Johnson. Presidor™ will provide a 'next generation' solution for customers wishing to easily and quickly upgrade their existing lighting to energy and cost saving LED's at a fraction of the cost of new installations. This ultra green, extremely energy efficient control system is expected to be introduced to the world at the LDI 2018 trade show in Las Vegas, Nevada this coming October. 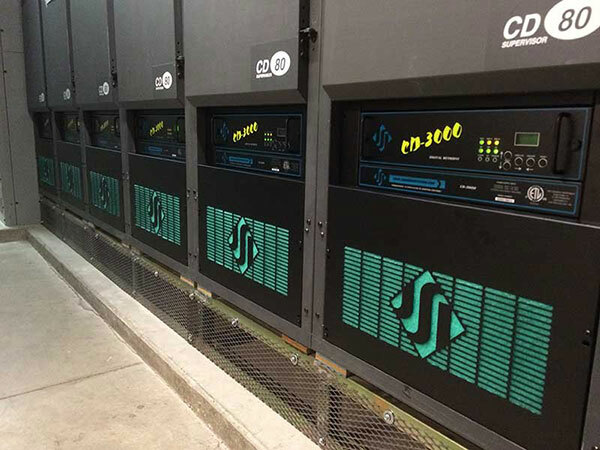 Johnson Systems Inc. (JSI), supplies Stratford Festival with four (4) CD-3000-SV Control Systems for their aging Strand CD80 Supervisor dimmer racks. This brings the total number of CD-3000 purchases to a total of eight (8) since the purchase of their first unit four years earlier. 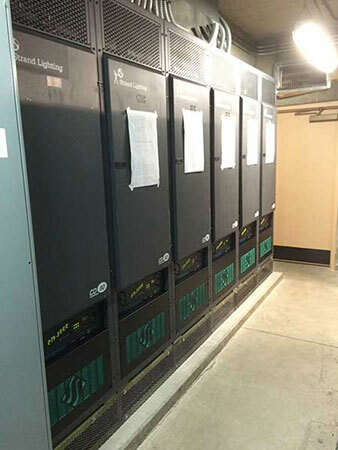 This prestigious and internationally recognized annual repertory theatre festival is realizing the financial and performance benefit a reliable dimmer retrofit can provide. 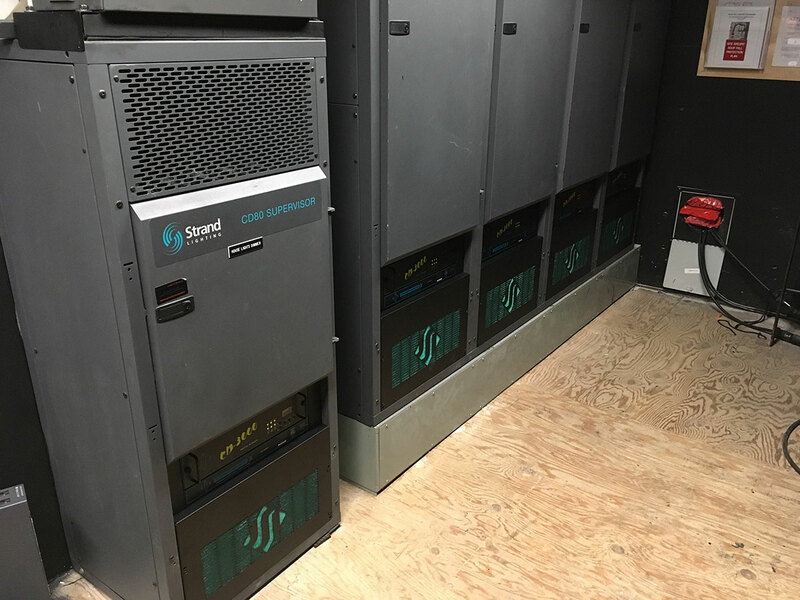 Johnson Systems Inc. (JSI), working in conjunction with Q One Show Technologies, upgrades the Vernon & District Performing Arts Centre with three (3) CD-3000 Control Systems, one (1) CD-2000+ control system installed in their existing 4 Strand CD80 Supervisor dimmer racks. 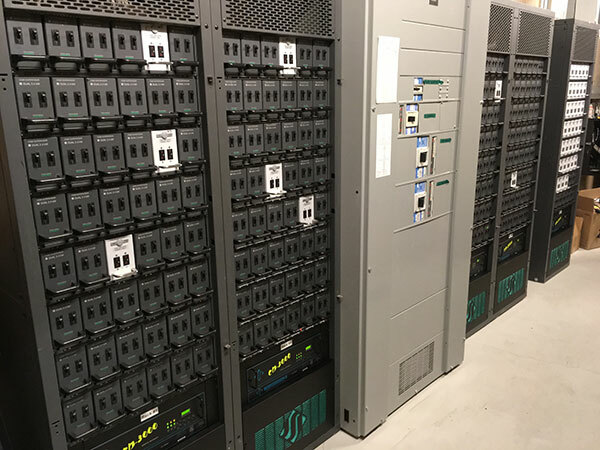 Updates to the existing house lighting control system with JSI's CS-2800 Series System Management Controls were also performed as well as the installation of ten (10) CD80PM-SV Power Modules to power new inventory of LED performance fixtures (that require pure AC power). SEPTEMBER 29, 2017 • JOHNSON SYSTEMS INC. Announces That It Has Filed Two Provisional Patent Applications With The US Patent Office. JOHNSON SYSTEMS INC. (JSI) announces that it has filed two Provisional Patent Applications with the US Patent Office for its Presidor™ LED Dimmer and Presidor™ Lighting System Controller. "Filing these patent applications today represents the culmination of 10 years of R&D. With our IP protected, this allows us to showcase Presidor™ to a few key industry professionals to both test the appetite of the market as well as receive invaluable feedback towards the final development", says founder and CEO Shaun Johnson. Presidor™ will provide a 'next generation' solution for customers wishing to easily and quickly upgrade their existing lighting to energy and cost saving LED's at a fraction of the cost of new installations. This ultra green, extremely energy efficient (99.75%) control system is expected to be introduced to the world at the October LDI 2018 trade show in Las Vegas, Nevada. AUGUST 16, 2017 • JOHNSON SYSTEMS INC. Awarded IP Grant. JOHNSON SYSTEMS INC. (JSI) an architainment lighting control company, announced today that it has been approved for a Micro-Voucher from Alberta Innovates to begin the Patent process for a state of the art, ultra green, universally adaptable LED Dimming and Control System trademarked as Presidor™. "This grant provides validation of the amazing potential of this next generation LED Dimming system", says founder and CEO Shaun Johnson. Johnson Systems Inc. has a long history of delivering premium retrofit lighting solutions to customers around the world. Presidor™ will provide a 'next generation' solution for customers wishing to easily and quickly upgrade their existing lighting to energy and cost saving LED's at a fraction of the cost of new installations. Johnson Systems Inc. (JSI) is pleased to announce the new MX-3000 Retrofit Kit for EDI/Cooper MX Series performance dimmer racks. The MX-3000 is a next generation retrofit electronics package designed specifically for upgrading the EDI/Cooper MX Series performance dimmer racks making system replacement completely unnecessary. This full-featured, state-of-the-art control module provides a direct digital interface to most of today's modern lighting communication protocols. Designed based on the successful 3000 Series control technology developed by JSI, the MX-3000 shares identical firmware and features as other popular 3000 Series products. For complete MX-3000 information and specifications, click here. 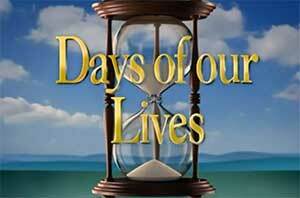 Johnson Systems Inc. (JSI) supplies Corday Productions, Burbank, CA studios with sixteen (16) CD-3000-AE Control Systems for upgrade of the long running daytime TV Series "Day of Our Lives". 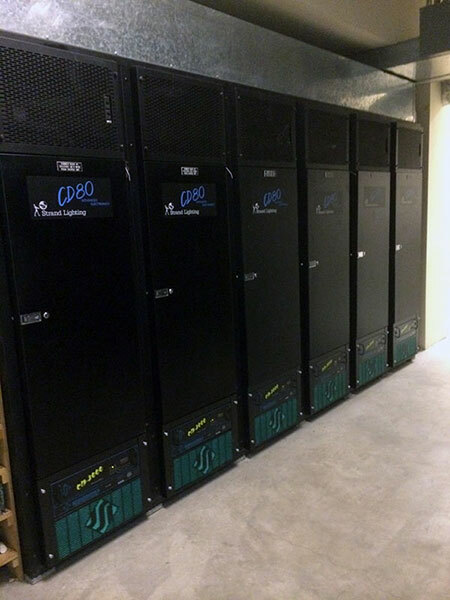 Custom patch software was quickly developed by the JSI team to facilitate ease of installation in these custom OEM racks which contained a unique "spiral patch". Installation of all 16 systems was completed in a single day by area technical dealer and integrator Emlight Design. 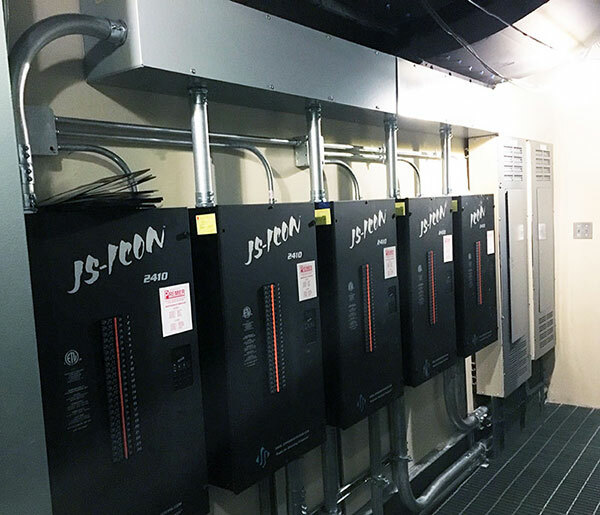 Johnson Systems Inc. (JSI) supplies Minneapolis Convention Center with ICON Dimming in their new 240 Circuit black box theatre. A total of ten (10) ICON Model #2410 racks were supplied. The ultra-quiet ICON's were selected as being the best value option for grid location installation due to ICON's extremely low sound signature. Project installation and integration was professionally handled through area technical dealer and integrator Gopher Stage Lighting. 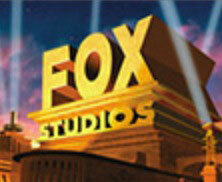 Johnson Systems Inc. (JSI) supplies 20th Century FOX Studios, Los Angeles with forty-one (41) additional CD-3000-SV-RR48 Control Systems to compliment the previously supplied sixty-seven (67) systems in 2014 and 2015. 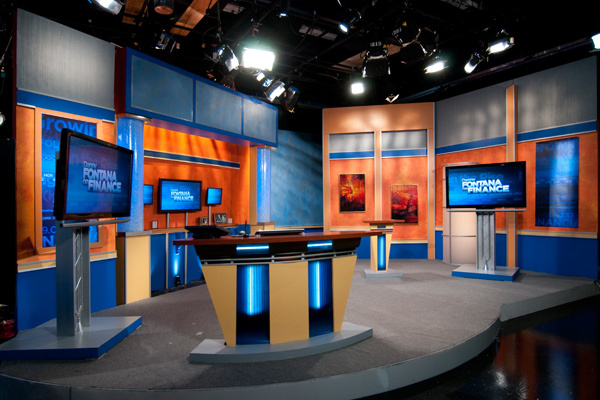 In conjunction with both Fox Set Lighting and Emlight Design, a custom adapter kit was developed by Johnson Systems for use with Innovative/Angkor 48 channel rolling racks as their OEM electronics were plagued with unreliable poor performance and limited capabilities. 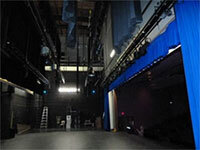 Fox Studios directly addressed other short-comings of the Innovative/Angkor dimmer racks in house including improved cooling and a professional painting. Project installation and integration was professionally coordinated through area technical dealer Emlight Design. 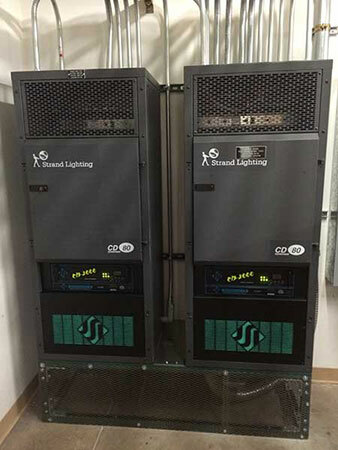 "We decided to convert across our entire dimmer inventory to the JSI CD80SV rolling rack retrofits due to our ongoing problem with modern console compatibility, reliability and high maintenance of the original components on our 20+ year old dimmer racks. During our research we were impressed with the high quality of the JSI components and well thought out engineering enabling quick, painless, and uncomplicated retrofitting. JSI, and Emlight Designs, response to all our inquires during our research were fast, technically informative and always generous in offering support during and after the conversion. The conversion process was smooth, complete and supported in person by Emlight, and easier than we were hoping for. To date we have had zero issues with the upgrades. All console boards have been compatible, zero mystery errors as with the originals, and the end users find them to be the easiest racks they have ever worked with. Best decision we ever made." 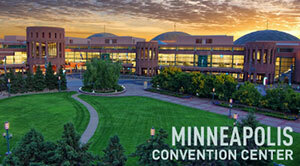 Johnson Systems Inc. (JSI) supplies the Minneapolis Convention Center with a major retrofit electronics package. 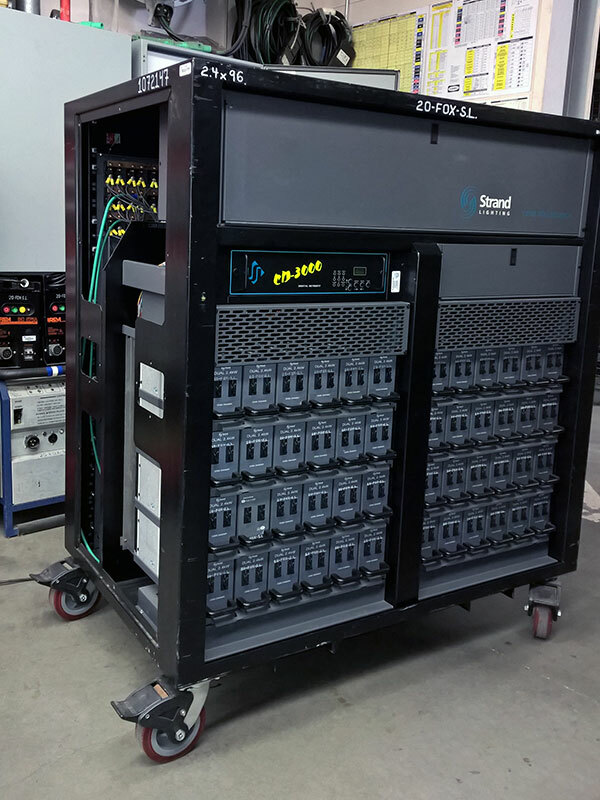 A total of thirty (30) new JS-ENVY Control Modules were supplied to upgrade the existing thirty (30) Strand Environ 2 dimming racks. In addition, over twenty (20) 2-PORT and 6-PORT DMX Mergers were supplied to facilitate multiple DMX input location management throughout the facility. Project installation and integration was professionally handled through area technical dealer and integrator Gopher Stage Lighting. CALGARY, Alberta (September 1, 2015) • JOHNSON SYSTEMS INC. is pleased to announce the release of the new Environ Power Modules. 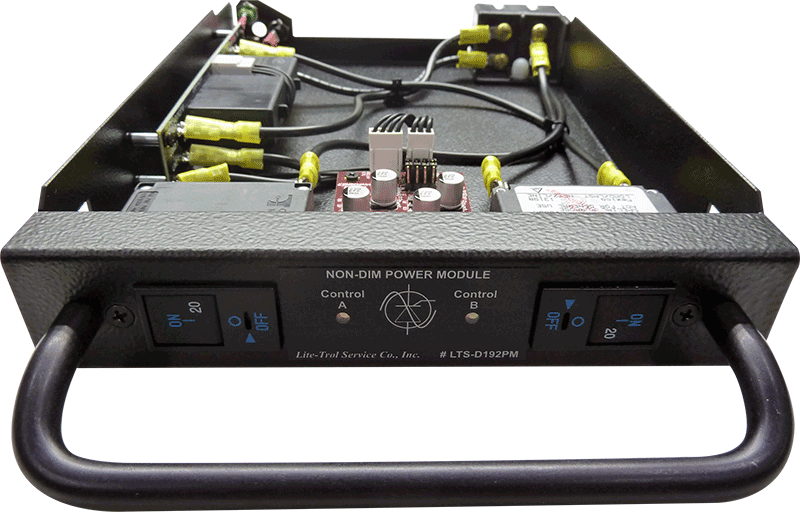 These relay modules provide non-dim power control of existing Strand Digital Environ (DE90) and Environ 2 architectural dimmer rack load circuits. These direct retrofit/conversion modules are specifically designed to replace dual 2400 Watt Strand Digital Environ (DE90) and Environ 2 dimmer modules which are most commonly used. 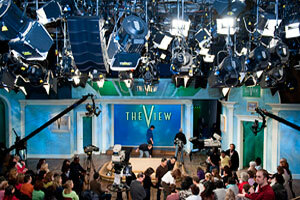 Johnson Systems Inc. (JSI) supplies 20th Century FOX Studios, Los Angeles with fifty-seven (57) new CD-3000-SV-RR48 Control Systems to replace the failing Strand CD80 OEM electronics. 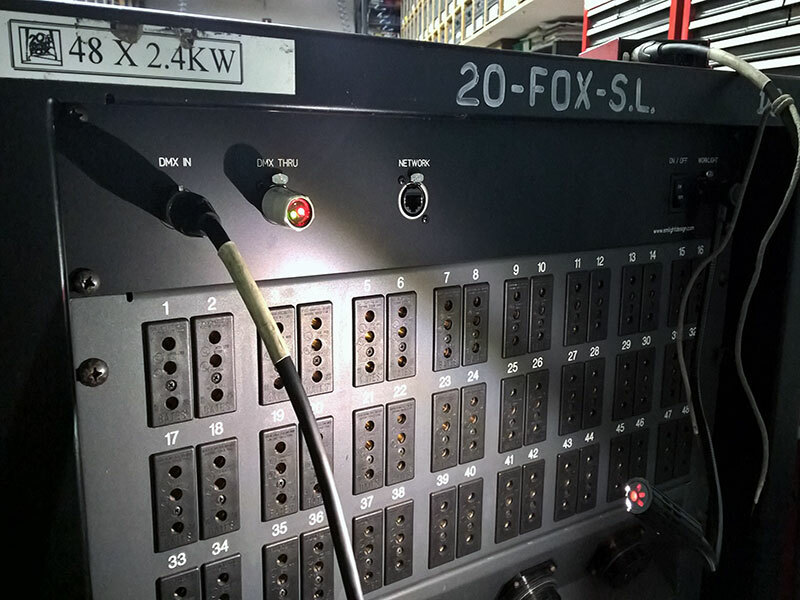 Further to the initial August, 2014 upgrades of ten (10) systems, the remainder all FOX set lighting CD80 Dimmer Racks have now been upgraded with new JSI electronics equipment. This upgrade was performed after almost a full year of flawless operation of the initial ten (10) systems. 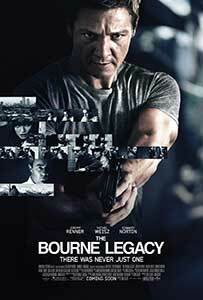 Selection was based on product performance - no competitive equipment was considered acceptable by FOX Studios management in the long-term interest of the company. Project installation and integration was professionally handled through area technical dealer Emlight Design. 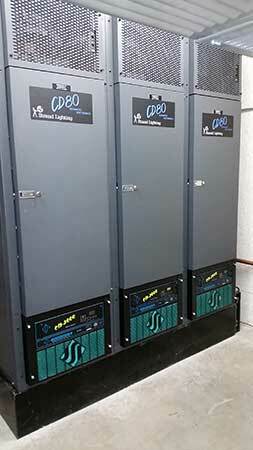 Johnson Systems Inc. (JSI) supplies Trinity Church with two (2) CD-3000 Control Systems. 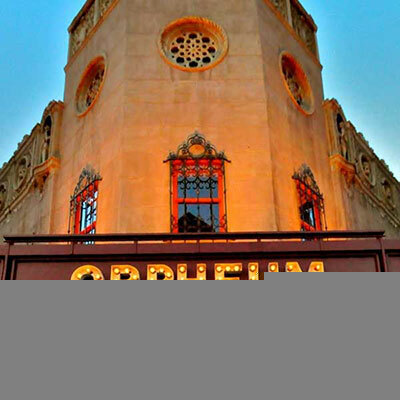 Johnson Systems Inc. (JSI) supplies Phoenix's historic Orpheum Theatre with nine (9) CD-3000 Control Systems to replace the failing OEM electronics in their Strand CD80 Supervisor dimmer racks. 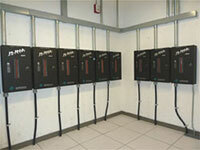 All system were supplied with Network Nodes for state-of-the-art control and integration options. Project installation and integration was professionally handled through Clearwing Productions-Systems Integration based in Phoenix, AZ. 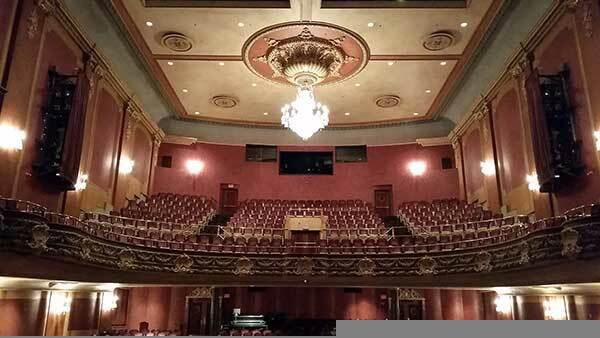 Johnson Systems Inc. (JSI) supplies the historic 102 year old Imperial Theatre with CD-3000 Control Systems to replace the failing OEM electronics in their 282 circuit Strand CD80AE dimmer rig. The 852 Seat Imperial Theatre is a proud part of the Greater Saint John region of Eastern Canada and represents a triumph of community spirit - described by The Globe and Mail as "... the most beautifully restored theatre in Canada." 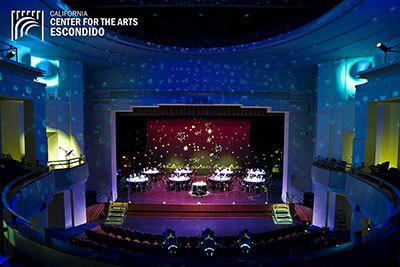 Johnson Systems Inc. (JSI) supplies the prestigious California Center for the Arts, Escondido CA. 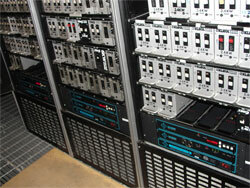 with fifteen (15) CD-3000 Control Systems to replace the failing OEM electronics in their Strand CD80 dimmer racks. Initial installation of six systems into the Center Theater took place in the summer of 2013. The success of this initial installation made the decision to follow through with the upgrade of the Main Concert Hall with nine additional systems and easy decision. Project installation and integration was professionally handled through David C Johnson Theatrical Service, Inc. based in San Diego, CA. 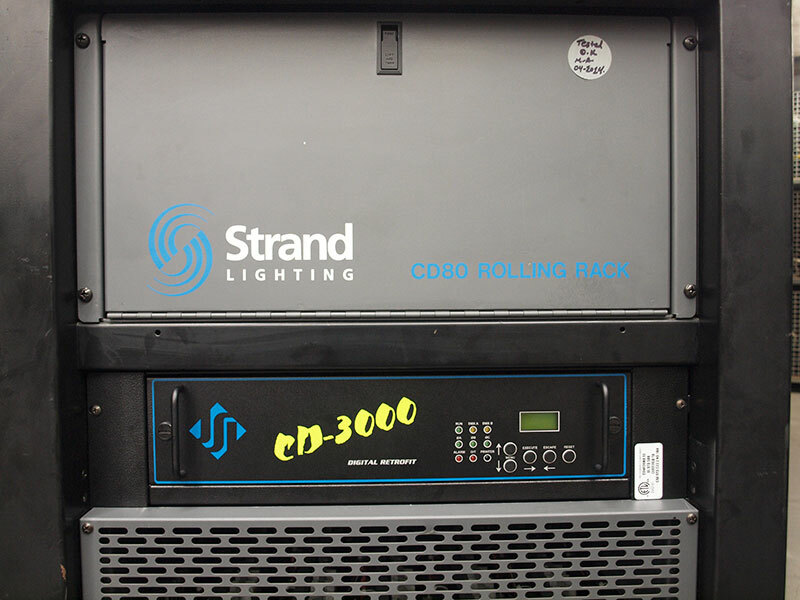 Johnson Systems Inc. (JSI) has released two versions of their CD-3000 Digital Retrofit for the Strand Supervisor CD80 Dimmer. The CD-3000-SV-RR48 and CD-3000-SV-RR96 are designed specifically for CD80 Supervisor Compact Rolling Racks in both 48 and 96 channel capacity. The new products are built around the existing and proven CD-3000 hardware and software and feature a new backplane and metal/chassis that facilitate a quick easy installation into existing compact rolling racks in minutes. Both models feature all the advanced capabilities and "green" power features of other CD-3000 models and offer an optional Ethernet node. The new systems are ETL listed and comply fully with UL508 and CSA22.2 No 184 electrical safety approvals. 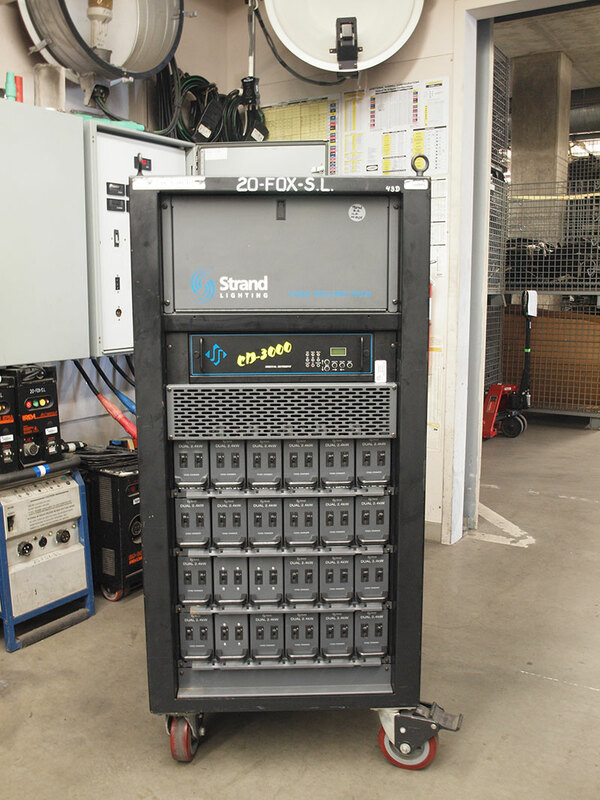 Johnson Systems Inc. (JSI) supplies 20th Century FOX Studios, Los Angeles with ten (10) new CD-3000-SV-RR48 Control Systems to replace the failing OEM electronics in their Strand CD80 compact dimmer racks. 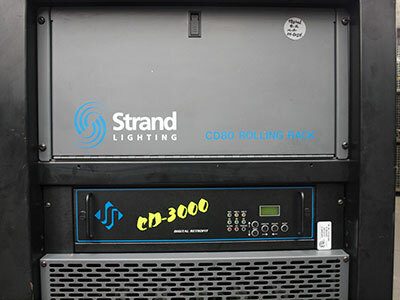 Selection of the CD-3000-SV-48RR was after critical evaluation by the Set Lighting FOX Team of "competitive alternates" that were considered inferior for multiple reasons. Project installation and integration was professionally handled through area technical dealer Emlight Design. 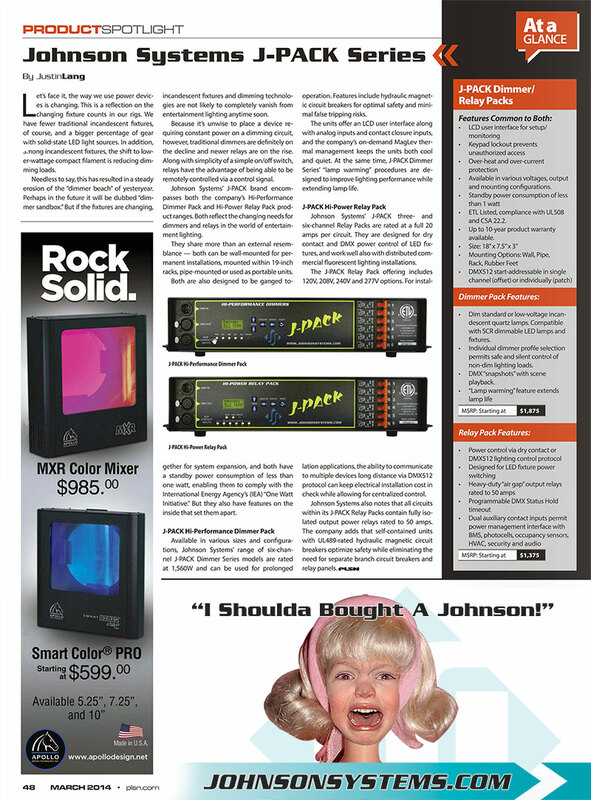 Johnson Systems Inc. (JSI) J-PACK Series Relay and Dimmer Pack product profile from the PLSN March 2014 Issue! PLSN "Road Tests" Product Profile → March 2014 Issue, click here. 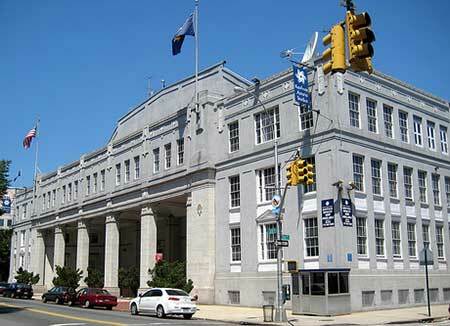 Johnson Systems Inc. (JSI) supplies the prestigious Kaufman Astoria Studios (KAS) in Astoria, NY. 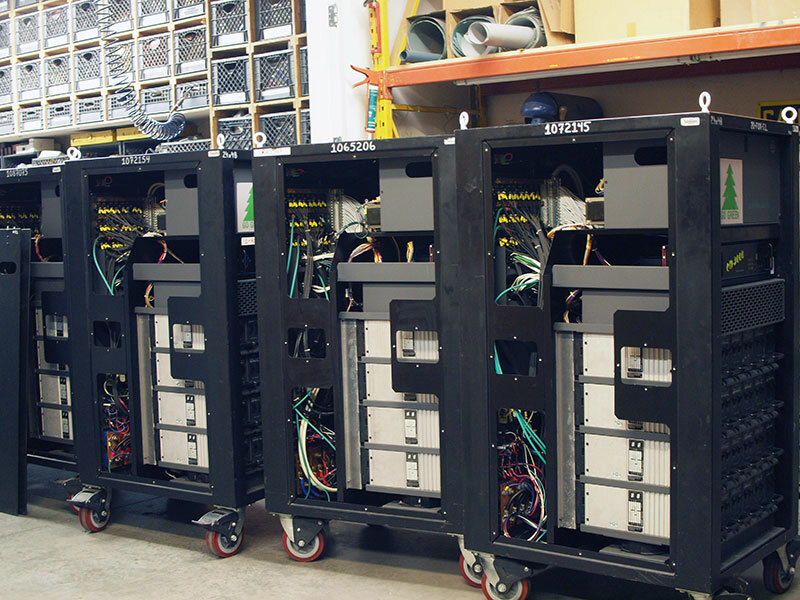 with 13 x CD-3000 Control Systems to replace the failing OEM electronics in their Strand CD80 dimmer racks. Project installation and integration was professionally handled through Lite-Trol Service Co., Inc. based in Hicksville, NY. 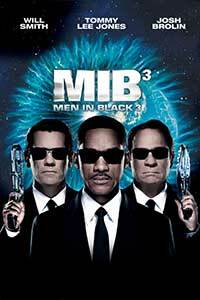 KAS is home to recent feature films, television & commercial projects including Sesame Street, The Bourne Legacy, and Men in Black 3. FEBRUARY 5, 2014 • JOHNSON SYSTEMS INC. & Lite-Trol Service Co., Inc. In cooperation with JOHNSON SYSTEMS INC. (JSI), Lite-Trol Service Co., Inc. of Long Island, New York is now providing Colortran Dimension 192 dual, 2.4Kw Non-Dim Modules. These modules feature the same internal components and specifications as the CD80 Power Modules manufactured by JOHNSON SYSTEMS INC. for Strand CD80 installations. Superior navigation experience through the existing top page navigation menu. A graphic "grid" system (on the opening home page) and subsequent page "quick links" to all products. Clicking on a section or top page title returns the user to the previous viewed page. All applicable product support files (PDF, etc.) are available via a right side grid box. JSI's website is now compatible with new hi-resolution "Retina" screens and iPad and iPhone friendly! CALGARY, Alberta (August 20, 2013) • JOHNSON SYSTEMS INC. is pleased to announce the expansion of its new series of DMX MERGERS. Two DMX 2-PORT MERGERS versions will be offered; one for portable applications and another designed for DIN rail mounting in permanent enclosures. Both units share the identical hardware and firmware allowing for an extremely cost-effective DMX input management solution where additional hardwired DMX inputs are required. Multiple units can be cascaded together or wired together with our recently released DMX 6-PORT MERGERS. Details on all 2-PORT models, including product images, product cutsheets and specifications are available on JSI's website at www.johnsonsystems.com. 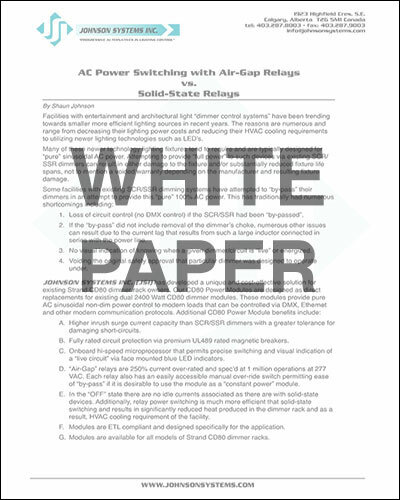 "AC Power Switching with Air-Gap Relays vs. Solid-State Relays". CALGARY, Alberta (May 25, 2013) • JOHNSON SYSTEMS INC. is pleased to is pleased to announce the release of the new CD80 Power Modules for direct retrofit/conversion of existing Strand CD80 AE (Advanced Electronic) and CD80 SV (Supervisor) modular dimmer racks. "Plug and Play" conversion from dimmers to relay modules or constant power modules. All models employ heavy-duty "air-gap" relay's rated to 277VAC at 50 Amps providing solid power switching for professional environments. On demand power control of LED fixtures, fluorescent fixtures or any environment where fast, precise distributed power control is demanded. Dual 20 Amp magnetic breakers offer flush face panel finish and are UL 489 rated. Advanced electronic design provides precise DMX triggering and eliminates down time idle current. Blue LED control status indication eliminates guesswork when troubleshooting. Up to 10 year warranty is available on this quality retrofit product! CALGARY, Alberta (May 25, 2013) • JOHNSON SYSTEMS INC. is pleased to announce the release of the new J-PACK Hi-Power Universal Relay Packs and J-PACK Hi-Performance Universal Dimmer Packs. CALGARY, Alberta (February 1, 2013) • JOHNSON SYSTEMS INC. is pleased to announce the release of the new DMX 6-PORT MERGER. The new 6-PORT MERGER combines up to six DMX512 data lines into one DMX512 universe. A cost-effective DMX input management solution for temporary and hardwired installations requiring multiple DMX sources or multiple opto-isolated DMX input locations. Model variants include compact portable, 19" rack mount and installation boxes for permanent installations. Details on all 6-PORT models, including product images, product cutsheets and specifications are available on JSI's website at www.johnsonsystems.com. We don't care (or like) to wave our flag too much however there are times when you just have to share some of the kind accolades received. 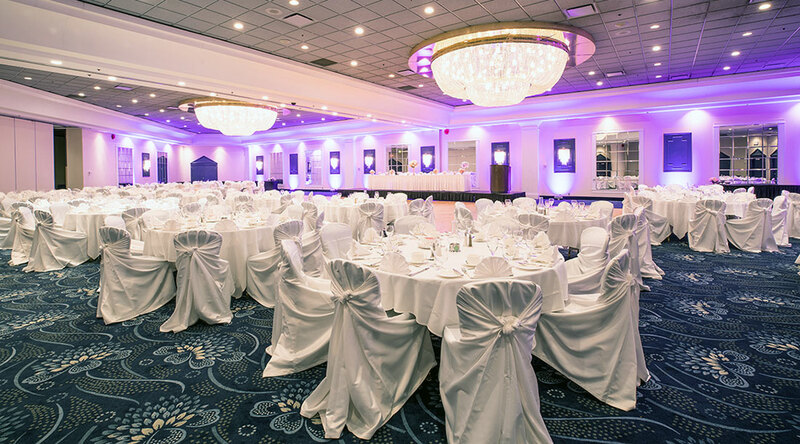 Pan Pacific Vancouver upgrades their ballrooms! 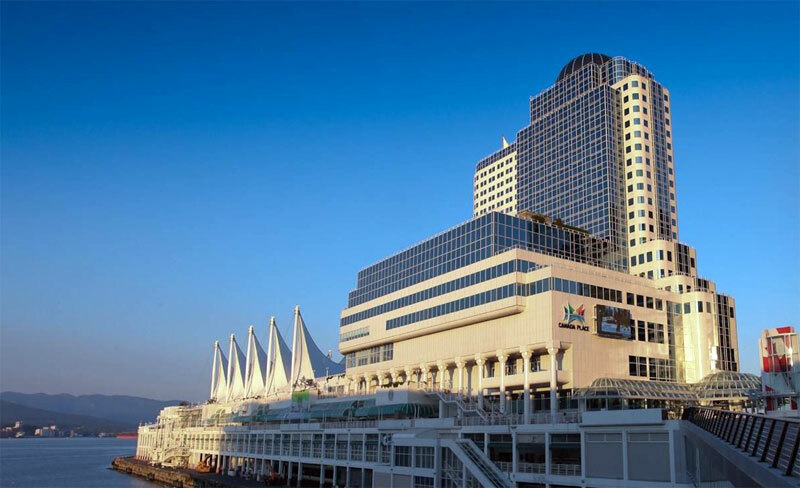 Pan Pacific Vancouver upgrades their ballrooms with Johnson Systems CS-DMX Controls and JS-ICON Dimmer racks! Pan Pacific Vancouver - JS-ICON Dimmer racks! The Toronto Blue Jays opened their season in the Rogers Centre. The Toronto Blue Jays opened their season in the Rogers Centre (formerly known as the Toronto Skydome) with a completely upgraded house light and performance lighting and Control Systems. Working closely in conjunction with Musco Lighting. 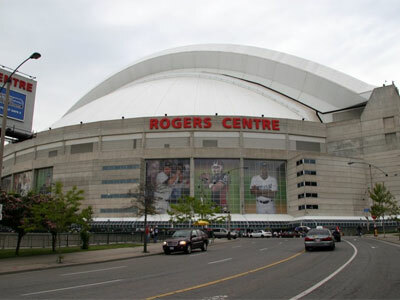 Rogers Centre - upgraded house light, performance lighting and Control Systems. CALGARY, Alberta (February 1, 2012) • JOHNSON SYSTEMS INC. (JSI) is pleased to announce the release of the new DPC-12 and DPC-24 Digital Pack Controllers (DPC's) for CD80 Portable Packs and Compact Rolling Racks. These direct plug-in replacement control modules supersede all previous generations of OEM and aftermarket controllers in both reliability and features. 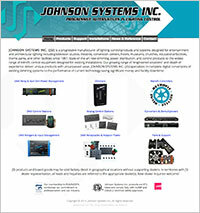 Detailed information on the new DPC-12 and DPC-24 Digital Pack Controllers - including product images, product sheets and specifications - is available on JSI's website at www.johnsonsystems.com. CALGARY, Alberta (November 1, 2011) • JOHNSON SYSTEMS INC. (JSI) is pleased to announce to announce the release of the new CS-DMX series of controls. 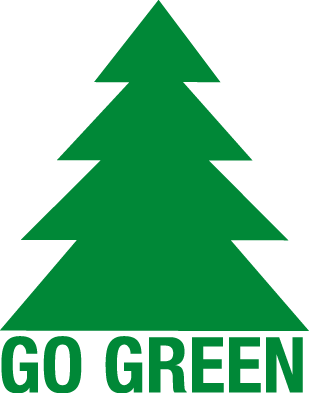 Value, power and complete flexibility in a "green", user friendly, cost-effective package! The CS-DMX Series of controls are the most capable manual "stand-alone" DMX controls available. These field programmable controls support 512 channels of DMX data with digitally adjustable fade times. Multiple stations can be daisy-chained together on the same control wire permitting multiple stations per room. Each station can be individually programmed with our wireless infrared hand-held programmer permitting any slider/channel assignments imaginable. Detailed information on the new JSI CS-DMX Series Programmable Manual DMX Stations - including product images, product sheets and specifications - is available on JSI's website at www.johnsonsystems.com. CALGARY, Alberta (October 24, 2011) • JOHNSON SYSTEMS INC. (JSI) is pleased to announce the release of the new EDI-120, a next generation retrofit electronics package designed specifically for upgrading the EDI Mark VII performance dimmer racks making system replacement completely unnecessary. 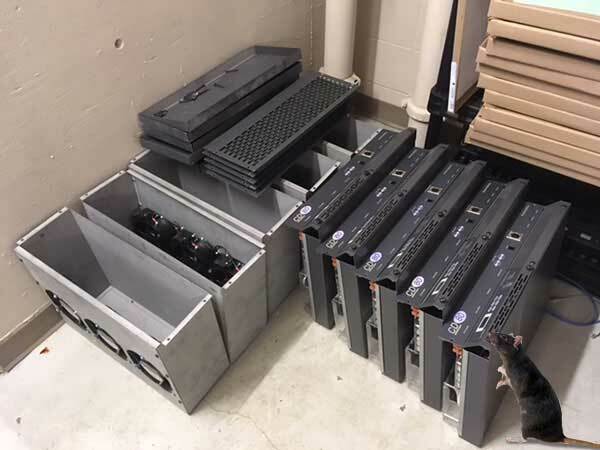 "The Mark VII Dimmer racks were one of the most successful dimming products to emerge from Electronics Diversified Inc. and remain the workhorses for many educational and professional venues to this day. This new product delivers our powerful CD-3000 firmware and hardware technology to EDI Mark VII rack owners in a very compact and easy to install package. It is our hope that this product will help them realize many more years of reliable performance from their initial investment", say company founder, President and CEO Shaun Johnson. Detailed information on the new JSI EDI-120 Retrofit - including product images, product sheets and specifications - is available on JSI's website at www.johnsonsystems.com. CALGARY, Alberta (October 19, 2011) • JOHNSON SYSTEMS INC. (JSI) is pleased to announce the release of the new CS-SA Series 'Super Analog' Time Fade Stations developed specifically for control of LED fixtures and next generation fluorescent ballasts (requiring 0-10VDC analog control for dimming). Universal in design, this series of analog controls is designed to deliver unmatched value in new or retrofit applications. 'Super Analog' controls are a direct replacement for most Johnson Systems CS-2900 Series, Electro Controls analog, Strand Microcontrol® and many other common analog control stations. Detailed information on the new JSI CS-SA Series 'Super Analog' Time Fade Stations - including product images, product sheets and specifications - is available on JSI's website at www.johnsonsystems.com. 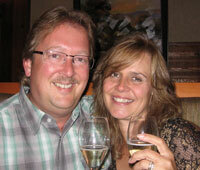 Johnson Systems owners and founders Shaun and Michelle Johnson celebrate their 20th wedding anniversary! On behalf of staff and associates, we wish Shaun and Michelle our most sincere congratulations! On behalf of all staff and associates that know Shaun, our most sincere congratulations to Michelle! 20 years of comedy, extreme fishin', & rock 'n roll! CD+M Lighting Design Group recently completed a $1.6M renovation project at the Orange County Convention Center (OCCC). The OCCC, which has 2.1 million square feet of exhibition space, is comprised of two buildings joined by a sky bridge. This project upgraded the lighting controls system in the West building, which houses 141 meeting rooms has 1.1 million square feet of exhibit space. Although the OCCC's other major building, the North/South building, was completed in 2003, the West building was built in four phases between 1986 and 1996. CD+M Lighting Design Group was brought in to make recommendations on the West Building's aging lighting control system. Crediting the maintenance program set up by OCCC technical service supervisor Greg Cyr and his technical staff, CD+M Lighting Design found that the major components of the lighting system were still in good shape, and that there was no need to undergo the costly and time-consuming process of replacing the entire system. CD+M was also able to reuse existing wiring for the 400 new wall stations that would be part of the upgrade. For the "front end" controls, CD+M used a Lutron Grafik 7000 centralized lighting control system, which allows for BACnet, DMX512, RS232 and contact closures control interfaces for integration with BMS, fire alarm, occupant sensors and other building management and automation systems. 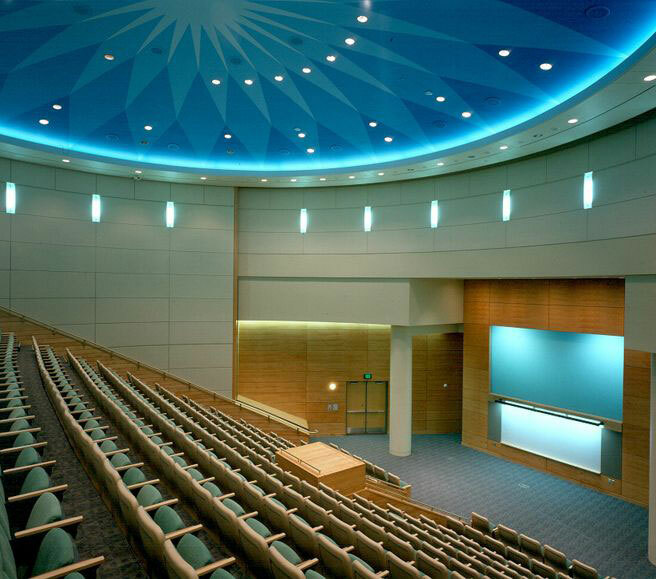 The OCCC has the ability to divide large meeting rooms and exhibit halls into smaller spaces through the use of movable partition wall panels. The Lutron Grafik 7000 system can reconfigure the lighting zones to accommodate these partitioned spaces, while also providing individual lighting controls. The system runs with built-in astronomical time settings, and a series of OFF presets have been programmed to sweep through the facility after hours to save energy. 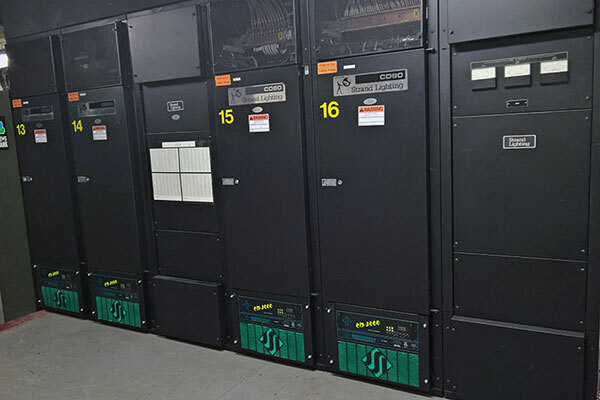 Although CD+M replaced the older control electronics of the existing Strand Lighting (66) CD80 SV dimmer racks and (23) DE90 dimmer cabinets with Johnson Systems' CD3000 & DE90 retrofit control electronics, it didn't replace all the dimmer racks and cabinets. By reusing existing equipment, CD+M estimates that the upgrade costs could be kept to only about 15 percent of what it would have cost to replace everything. Murphy Lighting Systems joined the project, providing their experience in integration along with a familiarity with the OCCC West Building system. 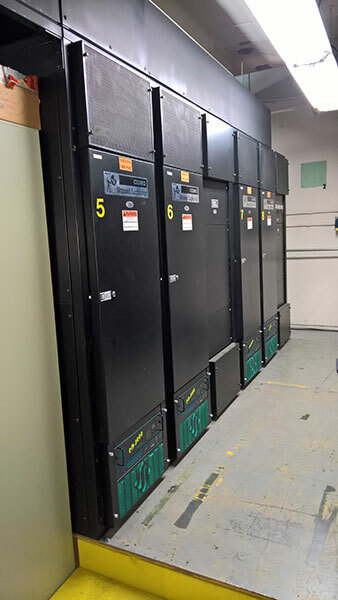 Their scope of work included the inspection, cleaning, repair of the existing dimmer racks and the installation of the new Johnson Systems' CD3000 & DE90 retrofit control modules. 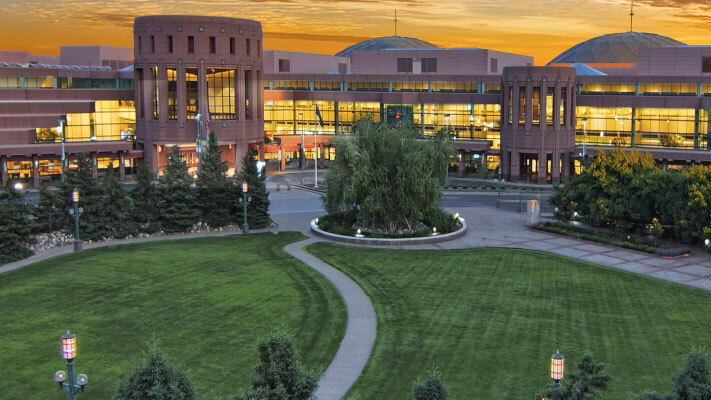 One of our key goals of the OCCC West Building upgrade was to provide the convention center's technical staff with the flexibility to quickly respond to any lighting issues from anywhere in the 4 million square foot West Building, or from offsite. This was achieved via Dialogic JCT media telephony interface card installed in the main lighting system computer local in the facility's server room. Now the OCCC technical staffs have the ability to control the lighting system at any time through the use of four-digit telephone codes, untethered from the main lighting control system computer. 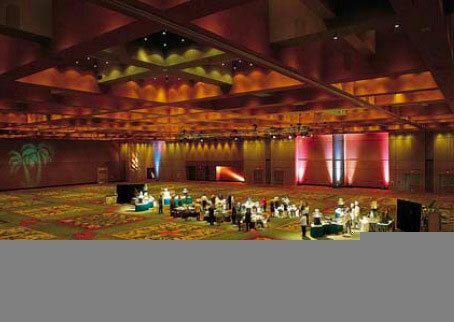 For more advance setups, the staff can also utilize a laptop equipped with the Lutron Control IT web-browser based software to quickly reconfigure the lighting to suit the client's unique lighting requirements in any of the meeting rooms or exhibit halls. 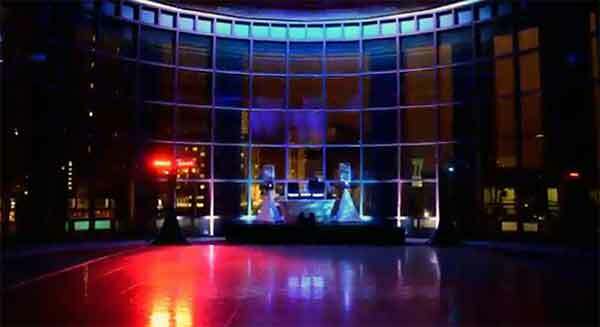 OCCC can also provide portable 9-button preset stations to give their clients the ability to create and activate different lighting presets during their event. 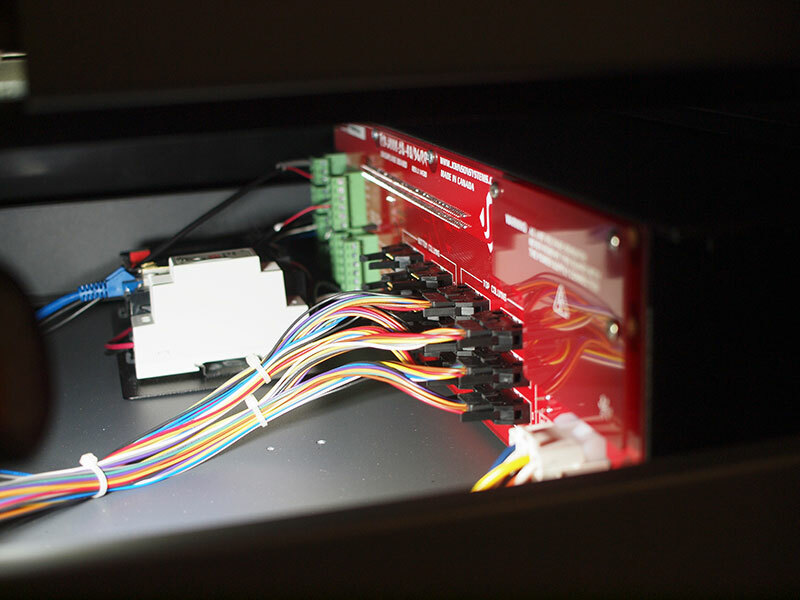 The new system includes a fiber-optic backbone between major components and an extensive Ethernet network. To satisfy the OCCC network standards & compliance issues, OCCC Database Administrator, Rick LeBlanc, supervised the new network installation. Those involved in the project included Greg Cyr, OCCC technical service supervisor; Brian Kennedy, OCCC project manager; Rick LeBlanc, OCCC database administrator; Max Brito, Rhodes+Brito Architects; Jim Kelly, Potential Electric project manager; Randy Brown, Lutron project manager; Tom Page, Lutron field service engineer; Shaun Johnson, JOHNSON SYSTEMS INC. president; Chris Murphy, Murphy Lighting Systems president; and Richard Hoyes, CD+M Lighting Design Group. by Johnson Systems dealer DP Electronics. Johnson Systems Inc. (JSI) is pleased to announce the new JSI DE90-3000 Retrofit Kit for Strand Digital Environ Architectural dimmer racks. The DE90-3000 is a next generation retrofit electronics package designed specifically for Strand DE90 Architectural dimmer racks. 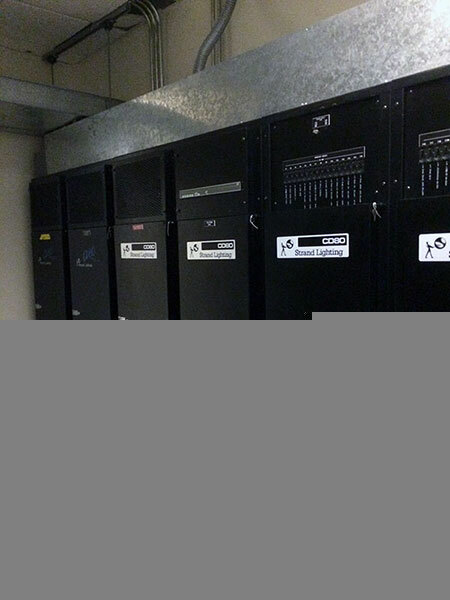 The DE90-3000 will save significant $$$ by replacing the aging control electronics of the existing DE90 dimmer rack making system replacement completely unnecessary. This full-featured, state-of-the-art unit provides a digital interface to modern lighting communication protocols. For complete DE90-3000 information and specifications, click here. 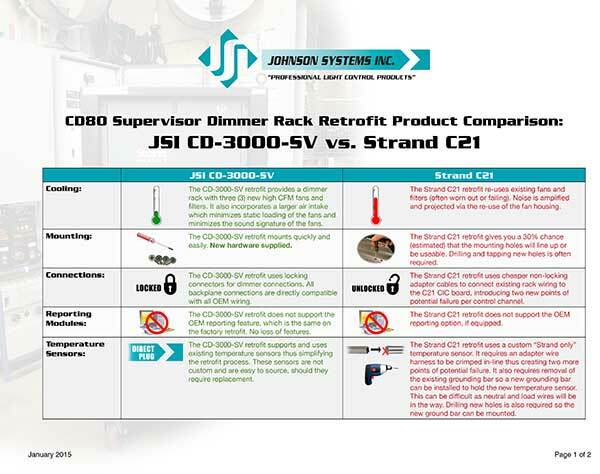 Johnson Systems Inc. (JSI) is pleased to announce the new JSI CD-3000 retrofit control system for Strand CD80® and Strand C21 Series dimmer racks. 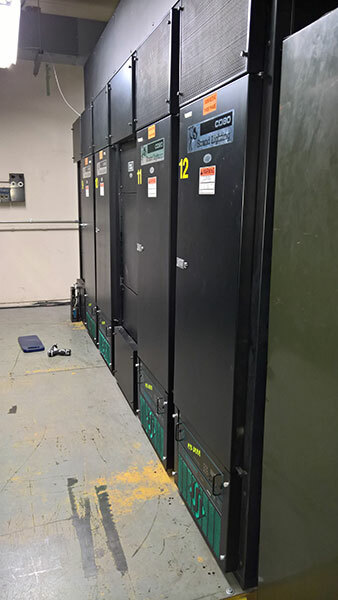 "After six months of field installation in some of the most hostile electrical rooms known, we, at JSI, are excited to offer this new technology to the marketplace. 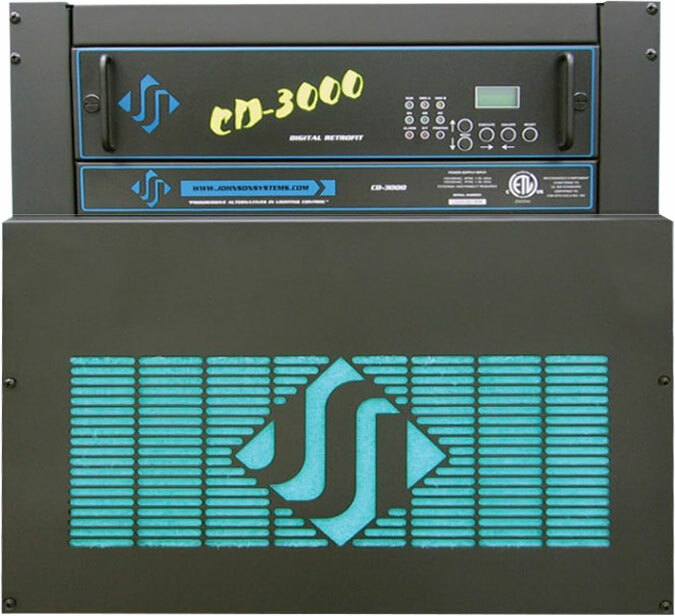 The new CD-3000 retrofit control system is an expanded version of the next generation 'system-on-a-chip' technology used in our JS-ICON™ Series dimmer/relay racks and will offer unmatched performance and features at a very attractive price", explains Shaun Johnson, President. The JSI CD-3000 will be available in seven different models, all using the same singular control module. 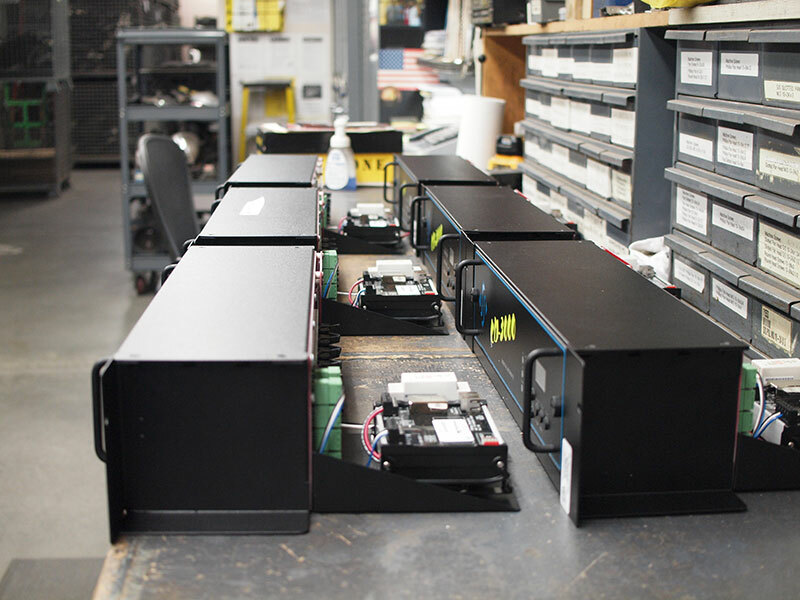 All models will offer the lamp filament warming and "green" power saving features of the JS-ICON™ Series dimmer racks. Optional warranties of up to 10 years shall be offered on this product line. For complete CD-3000 information and specifications, click here. JOHNSON SYSTEMS INC. (JSI) completes a four year equipment supply and integration for the Calgary Board of Education (CBE), Canada's second largest school board. Working with the CBE prime electrical contractor, JSI provided engineering, design, equipment, field support and site integration services. 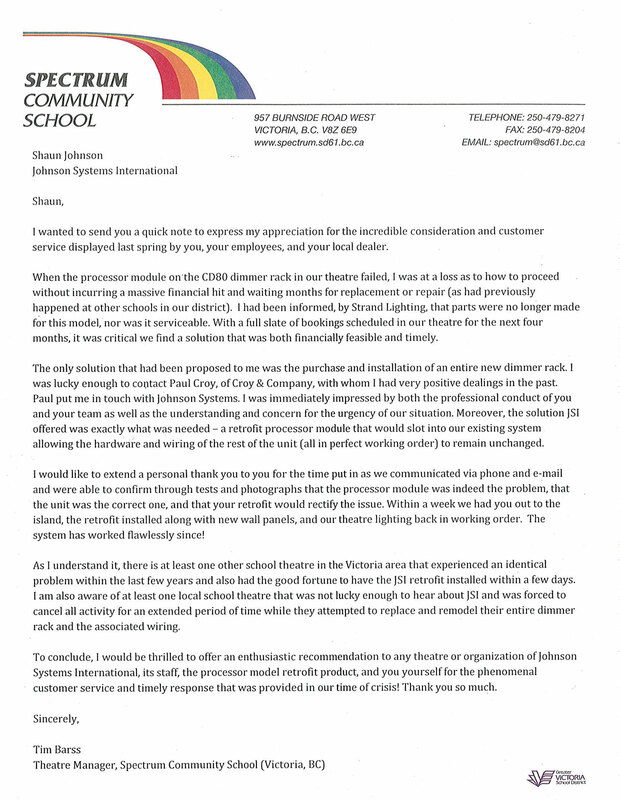 A combination of both new and retrofit JSI products were used in various combinations to upgrade 41 junior and senior high schools. 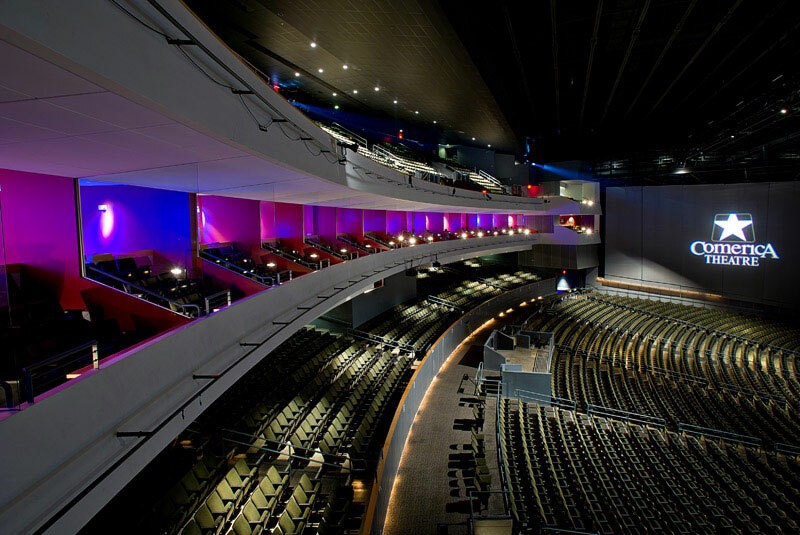 Johnson Systems Inc. supplied JSI CD-2000 Retrofit Dimmer Control Systems for the Tampa Bay Performing Arts Centre. 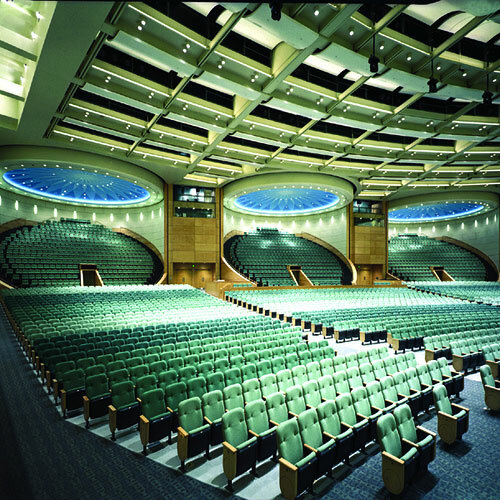 In October and November 2009 the Tampa Bay Performing Arts Center (aka David A. Straz Jr. Center For The Performing Arts) undertook a facility-wide upgrade of their dimming Control Systems in the three major venues; Jaeb Theater, Ferguson Hall and Carol Morsani Theater. 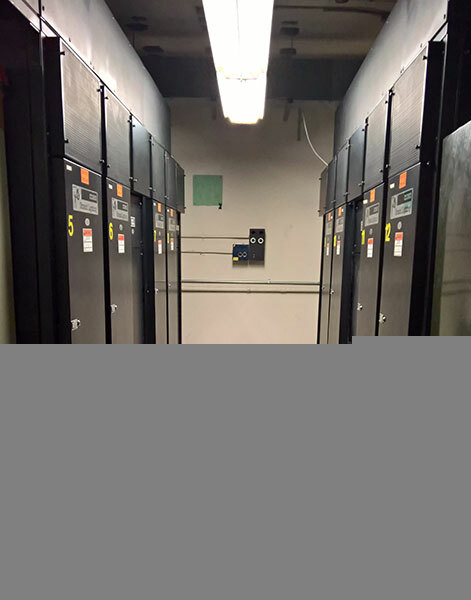 Johnson Systems CD-2000's were selected as the best long-term and cost effective solution for all spaces. With the assistance of local JSI dealer Murphy Lighting Systems (MLS), a total of 17 systems were installed in all three venues. 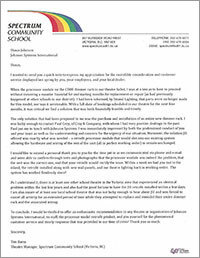 "I was pleased with how quickly and easily my staff installed the Johnson systems gear. Each venue was easily upgraded in one day", explains MLS president, Mr. Chris Murphy. "JS-ICON™ Series wall-mount dimmer racks represent the ultimate value in hi-performance dimming! Next generation 'system-on-a-chip' technology coupled with state-of-the-art inductor technology provides unsurpassed quality in professional grade SCR dimming", explains Shaun Johnson, President. 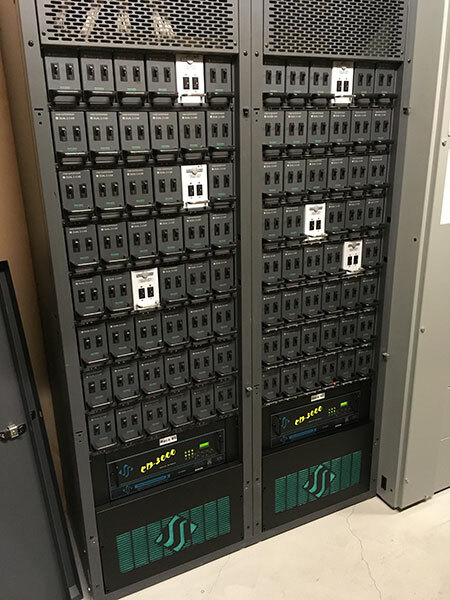 JS-ICON™ Series wall-mount dimmer racks feature advanced next generation hardware and software designs to reduce stand-by power consumption to less than 1 Watt, allowing for compliance with the International Energy Agency's "One Watt Initiative" for standby power consumption. This makes JS-ICON™ Series the "greenest" dimmer racks available! MAY 1, 2008 • JOHNSON SYSTEMS INC. (JSI) is pleased to introduce the Simplicity Series of receptacle plates, modules and adaptor plates. Designed for lighting, audio and data installers and systems integrators, Simplicity Series products are the "lowest cost available in the marketplace" explains Shaun Johnson, President. "Current economic factors are affecting everyone. We found that our existing control receptacle plates, modules and adaptor plate products were 'over designed' aesthetically - making them unnecessarily expensive for such a basic item. All competitive products are expensive and some are very time consuming and tedious for the installer. Most dealers have become frustrated at the escalating costs of these basic accessories and the time to install them contributes to a project - a new installation or as part of a repair/upgrade project. So, we re-designed our receptacle plates, modules and adaptor plate products to be inexpensive, durable, quick to install yet 'technician friendly' and, most importantly, to do the job!"